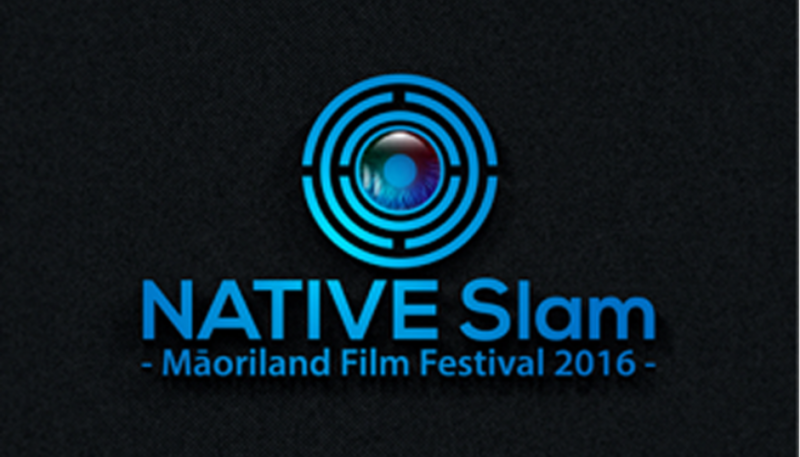 On 19th March 2016 17 Indigenous Nations took part in the inaugural NATIVE SLAM – Maoriland’s Indigenous, International Filmmaking competition. The filmmakers – all of whom have significant film experience, were placed in 5 teams around NZ’s North Island. In just 72 hours and with only $800 to feed, travel and house them, they created not only five exceptional short films but they also created life long relationships with each other. They delivered their films to Native Slam Executive Producer Pauline Clague (Aboriginal Australia) on the 22nd March in Ōtaki prior to the opening of the 3rd Māoriland Film Festival. They screened twice at Māoriland. It was decided not to award a single prize by jury to the winning film. But that there would be a People’s Choice Award. This will be announced soon. Funding is now being sought to be able to do final sound and picture post on these special short films so that they can travel to film festivals around the world. Skabmakovat Film Festival in Finland has already agreed to screen the Native Slam. 1. The film’s title must be in a Native language. another time, people, or place. 3. Only one camera can be used at any one time. 5. Every film must have some spoken and un-translated native language. 6. Music can only express on screen emotion, it cannot illustrate action. props. – but you may want to bring some props from your national regalia that you may want to utilize. 8. Every day of production begins and ends with prayer and ritual. 9. Every film must heal. We will need your help to fund the post production of these films so that we can take them to screen around the world. Sign up to our mailing list to be one of the first to find out how you can help.